One of the benefits of living in Los Angeles is that you can rub elbows with (to mix socially with) celebrities from television and film. Okay, so we don’t actually rub elbows with celebrities, at least I don’t, but we do catch a glimpse of them, or see them briefly, now and them. 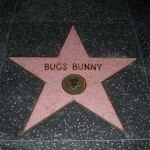 Having lived in Los Angeles for nearly 20 years, I’ve seen some major and some minor celebrities. Many of the minor celebrities are those you recognize as being on TV or in movies, but can’t really place them (know where you’ve seen them before). When I see a major celebrity, though, there’s no doubt about it. If you see a celebrity and you’re an Angeleno (someone from Los Angeles), the thing to do is to play it cool (not appear excited; stay calm). You may want to go up to that person and get their autograph (signature) or just talk to him or her. If you’re an Angeleno, though, you don’t do this. You pretend you don’t recognize him or her, or that it’s an everyday occurrence (event) that you see celebrities. Julia Roberts – I saw her running along the beach and also in a large bookstore with her (current) husband. Queen Latifah – I saw her at a restaurant in Beverly Hills. Don’t get the wrong idea. I don’t eat at fancy restaurants often, but this was a special occasion with a group of friends and colleagues (co-workers). Barbra Streisand – I saw her at a restaurant in Malibu with her husband. Denzel Washington – I saw him at a Lakers basketball game. He had floor seats (seating on the ground level) and so did the friends who invited me to join them. I’m happy to have seen these and other celebrities. Still, there are many more I’d like to catch a glimpse of, including actors Johny Depp, Michael Kitchens, David Suchet, and Julianne Moore, and the First Family (President Obama, First Lady Michelle Obama, and their children). Which celebrities would like to rub shoulders with, or at least catch a glimpse of? Would you play it cool or would you try to talk to them and/or ask them for their autograph? I have seen many actors here in Brazil. But, I don’t care. I respect their privacy and I never ask them for their autograph. Really, I don’t have idols. I am very fond to The Opera, and Alfredo Kraus was my favorite tenor, his voice and his way of singing was marvellous to my ears and mind. Once I was with my wife at the Opera, we were attending to one of his principal roles as Opera tenor but he was retired already. Just when the first act finished we may saw him in front of us, first file of the main floor and I was astonished, he was attending to his role made by another tenor and he seems to be delighted. At the moment I have not any of the several c.d. that I had from him, If I have known in advance that I was going to be with him at the theatre it was for sure that I should asked him his signature on one of his Opera c.d., but I have not any and I did not asked for. I was a shame that I couldn´t have his signature as I was always hearing his voice at home. After a year more or less he pass away and I was very sorry. I would like to meet Dr. Lucy Tse and Jeff McQuillan. They are the real celebrities! When I was very young I got a signed dedicated photo from Joan Baez. She was one of my best singer and I wanted to have the lyrics of her songs. She wrote me and sent to me this lovely gift that I didn´t ask for, but I was very pleased having this beautiful photo from her. That was on the sixties when Bob Dylan and Joan Baez were against the Vietnan war and the hippies were against everykind of State violence. This photo was one of my treasures along several time and I have it fixed on the wall while I was a single man. About the end of the seventies I could get a book dedicated from Stephen King, I just sent a letter to him (I know more or less where he was living, as a matter of fact always in the same place in Maine) and he was so nice as to sent me back a book without any charge. The most amazing thing was that the book was in Spanish, an yes it was another treasure for long time, till I gave it to my daughter. That was really incredible, may be then he was not so huge popular round the world and have some time to do that kind of things. Now it should be absolutly impossible to have such a thing. Yes, afterwards I have more incredible livings that I like even more but I think it is something I like to book for me. to visit some day and just to know my best star teachers. i really don´t know what would happen if i could rub shoulders with some famous person, i have never seen anyone until now. i live in a small city and famous people doesn´t come here very often, but i think i would play it cool, it would depend of the situation. It’s interesting.Los Angeles is the home town of many celebritis so it has more chances to run elbow with these celebritis.Of course, may be excite moment when you can rub shoulder with them, but play it cool. Hi everybody, in my case when I rarely saw a movie star (if we call it that here in Italy) I played it very cool. No matter they are famous or less. On the contrary, my sister acts every time differently from me: she suddenly become anxious, nervous and started to speak in a low voice! Very funny! hi,this is my first time come here.is there any error in my comment? I would behave as weel as Magda. I do not care about celebrities or stars. I just get excited or warm inside when I see animals, without preferences for any kind of it. Just yesterday I saw a snake. It was beautiful. I never had a opportunity to stay in front of a famous people. I would like to meet Ronaldo ( Player Soccer) If one day I have o opportunity like this, I won’t play it cool. rsrsrs. If I have a chance to see Jeff and/or Lucy, I will definitely ask them to take a photograph with me:) Btw, I’ll listen to EC#3 to see what I’ve been guessing is indeed correct. In July I’m travelling to New York (first time in The USA) and I would like to see one of those American actors I always see in movies. Of course, I will ask them for an authograph but I will also play it cool!! Hi! Thank you for the explanation of the word “market” – a general word for-store- with food. For me , market means a region in which goods can be bought and sold. And “I spotted my favourite type of cookies.” I have thought “spot” is just a small area differing in color. 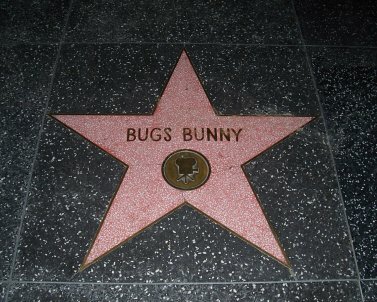 I didn’t have much luck to see celebrities except one. Once I was shopping, suddenly I hit someone with no intention. When I return I recognize her. She was one of celebrities in my country so I played it cool and I apologized but she was angry at me. I would like to rub elbows with a celebrity (a famous actor) in my country. If it isn’t impossible, I will be satisfied with doing catch a glimpse of him. When I whs a child he was one of performer in children programs on TV and theaters. I loved him. Those days he was about 18 years old. Now he is 50. He plays more in comic movies. I’m one of his fan.